Hey there! A few weeks ago, on a Menu Plan Monday post, I shared a picture of the salsa I’d recently made and couldn’t get enough of. Since then I can’t believe how many requests I’ve gotten for the recipe. Apparently you guys love salsa as much as I do! The problem was it wasn’t my recipe to share so I had to ask permission. I originally got the recipe from my Mexican girlfriend and I had no idea if she’d let me share it or not. So I asked her and she said and I quote “Yes you can share the recipe! The way I see it everyone needs to enjoy good salsa!”. Amen to that sister! Isn’t she awesome? I really do have the best of friends. 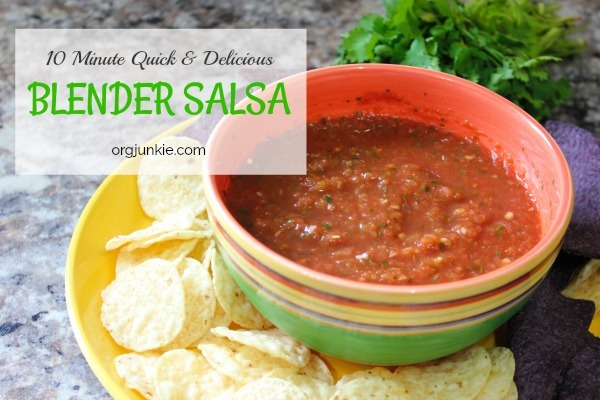 It’s such a quick salsa recipe to whip up and it’s deliciously spicy as well but of course you can adjust the ingredients if you’d prefer it with less bite. Although I do find that the bite is less the next day after the flavors have had time to mesh together nicely. 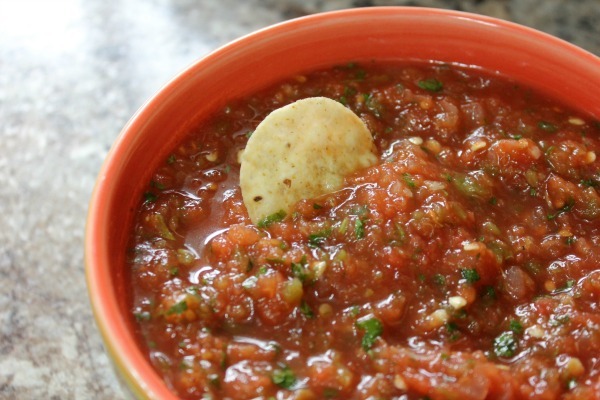 Also I think salsa tastes better cold but it is sooooo hard to make it and not dive into it right away. Ha! Here’s a picture of the ingredients you’ll need. No need to write them down, just use the print feature below to print off the recipe. The thing that sets this recipe apart from the many similar ones I found on Pinterest is the first step of boiling the first three ingredients. 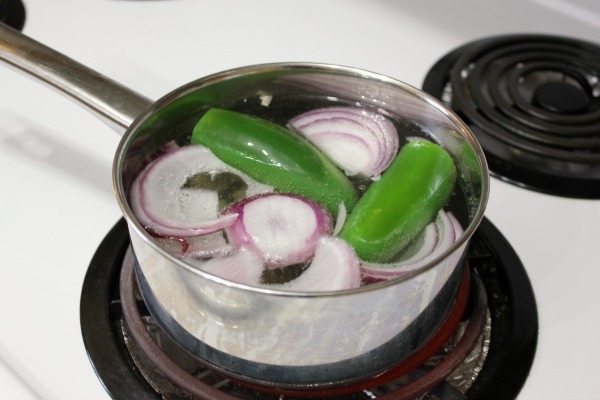 Start by cutting off the tops of your jalapeno(s) and then boiling them (yep seeds and all) together along with the onion and garlic for 3 to 4 minutes on the stove. 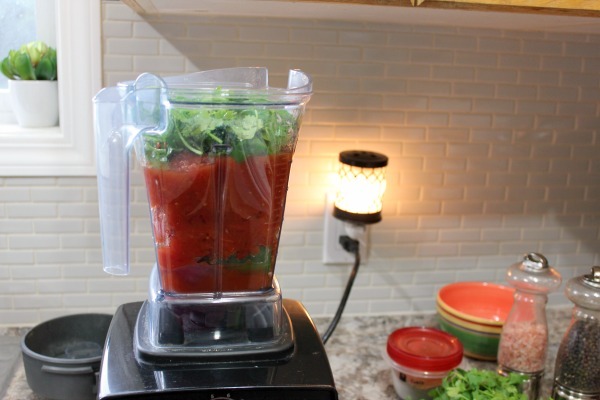 Drain the water and add these items to your blender and then add the remaining ingredients. I don’t add the whole bunch of cilantro from the store, I just grab a handful from the bunch you see in the picture above (my friend says she uses about a third of a bunch). It just depends how much you love it. I’m not a huge fan of cilantro so the first time I made it I left it out but it just didn’t taste right. 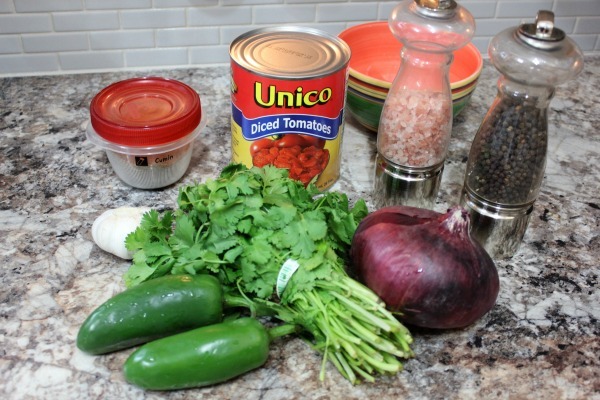 So don’t leave it out, it definitely adds a great flavor to the recipe 🙂 Also I typically use a white onion but a red one was all I had on hand when I made salsa on this particular day. Blend to desired thickness. I don’t like mine too chunky but I also don’t like it completely purified either so go slow so you get just how you like it. 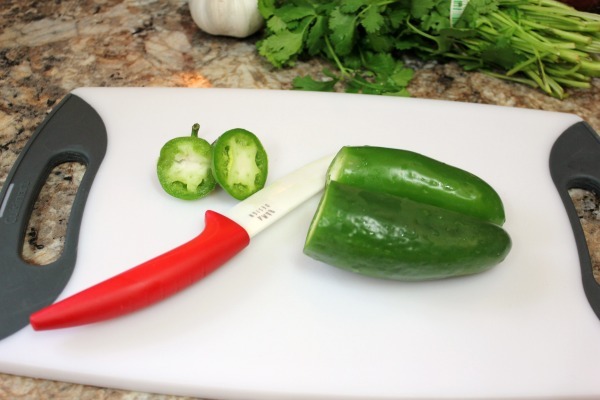 Cut the tops of your jalapeno(s) and then boil them whole along with the onion and garlic for 3 to 4 minutes on the stove. 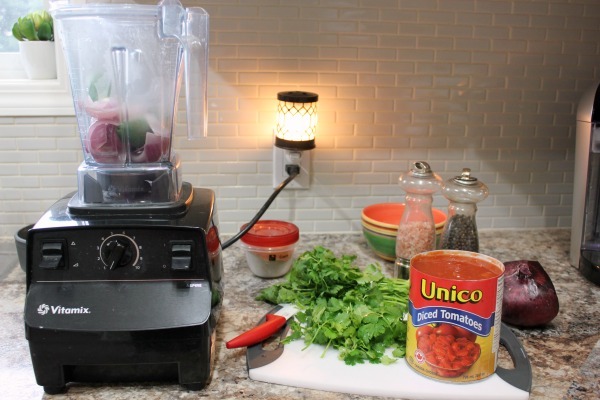 Drain the water and add these items to your blender along with the diced tomatoes, cilantro, cumin, salt and pepper. Just curious since I have never used fresh cilantro before–should I use the entire bunch as it is packaged when I buy it? This recipe sounds so fresh and delicious I can’t wait to try it! 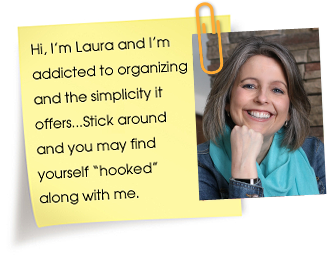 Hi Sharon, I didn’t use the whole bunch the way you buy it. Maybe about a handful, you might have to experiment a bit for your taste. 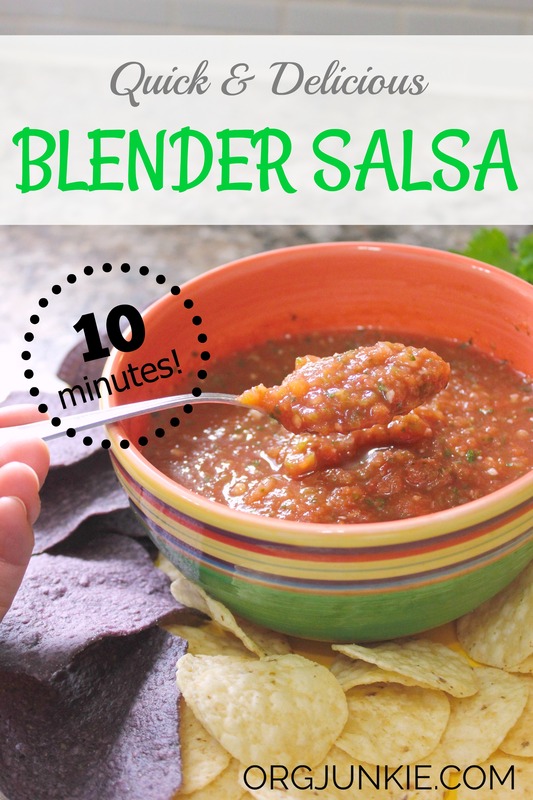 Hi Sharon, using the whole bunch of Cilantro would overpower the salsa flavour. I typically use about a third and I love Cilantro. So even a quarter would be enough. Oh my goodness….. holy YUM! I nearly drank this straight from the blender. Sooooo good. Thanks for sharing. Okay you are quick, that’s awesome! So glad you loved it, yay!!!!!!! I used the 28 oz size of tomatoes. Let me know what you think!